Een prachtig oud koetshuis (met een gereserveerde parkeerplaats) dat onlangs is omgebouwd tot een zeer hoge standaard. Het is een uitstekende uitvalsbasis voor 2 personen om dit fantastische deel van Zuid-Devon te verkennen. Gelegen in het kustplaatsje Kingston (bekroond met het Calor Village of the Year 2009 voor de regio West) en op slechts 1,6 km van de zee, kust en stranden. Kingston is een klein landelijk dorp en heeft een mooie pub - The Dolphin Inn, op slechts een paar minuten lopen van het koetshuis. De prachtige monding van de riviermond van Erme en het Wonwell-strand liggen op iets meer dan 1,5 km afstand, net als het strand van Westcombe, en de stranden Bigbury-on-Sea en Bantham liggen op slechts een paar minuten rijden. De mooie oude marktsteden Modbury en Kingsbridge liggen op slechts een paar kilometer afstand, met Dartmouth, Salcombe en Totnes binnen 30 minuten rijden. De maritieme stad Plymouth ligt op slechts 21 km afstand, met talloze restaurants, bars en het Theatre Royal. De wildernis van Dartmoor ligt op slechts 20 minuten rijden en biedt u een fantastische keuze aan wandel- en fietsroutes in de buurt, evenals watersporten! Het huisje heeft een open woonkamer en keuken op de bovenverdieping, die is mooi en zonnig en het huisje heeft ook een eigen beschutte tuin en een patio tafel. Het huisje heeft volledige centrale verwarming en er is ook een gezellige houtkachel in de woonkamer. Beneden is een slaapkamer met tweepersoonsbed en een badkamer. Gratis wifi is beschikbaar en al uw bedlinnen en handdoeken worden verstrekt. Badkamer met bad en krachtige douche (wuth douchescherm). Wasbak en toilet. The Coach House was just what we needed, cosy and away from it all. The owners have thought of almost everything you would need for a comfortable home away from home with a small sunny garden for those days when you just don't want to venture out. There were even DVDs which we didn't discover until the night before we were due to leave! The village is delightful with a lovely church and a cosy pub (sadly on the night we arrived it was fully booked for meals), N.B. book ahead just in case this happens for you. We loved Bigbury on Sea but never managed to be there to walk over to Burgh Island (which is cut off by the tide when it comes in) and our lunch at The Oyster Shack Is memorable. The little shop at St.Annes Chapel has everything you need from newspapers to wine and is only a mile away as is its neighbour The Pickwick Inn, lovely food. We were tired after a busy summer (I ran a B&B until a few days before we were there!) and we just needed to chill, we were able to do this at The Coach House and would highly recommend it. So pleased that you enjoyed the Coach House and our lovely village! There is so much to see and do on your doorstep and it sounds like you made the most of it! I hope we can welcome you back again sometime soon. house could do with airing out as had old musty smell particularly in bedroom which is downstairs.windows needed cleaning outside bedroom! Towels clean but very hard! Kitchen well equipped and parking space very useful. Thank you for your review and sorry that you had a few minor issues. We do open the windows downstairs all the time, but most guests seem to prefer them shut so I am sorry if it was a bit musty, and we do also clean the outside windows every month! We are very eco-friendly and so our towels are dried in the fresh air on a washing line - so sorry this wasn't to your liking. We do try and take on board all comments where we can and so thank you again for taking the time to feedback to us. With best wishes, Katherine & Mark. We had a lovely couple of nights here. The place was clean and cosy, and equipped with everything we needed. The village is beautiful and peaceful, and the local pub was great. Close to the sea and the countryside, and we can wholeheartedly recommend the Oyster Shack restaurant which is a 10 min drive - if you like seafood you will love it. Check in and out was easy. Thanks to Katherine for being such a great host. So lovely to hear you enjoyed your stay at The Coach House and made the most of the excellent local pubs and restaurants! Thank you for your review and so lovely to hear that you enjoyed the peace of our lovely, friendly village of Kingston - and our pub too!! I do hope that we can welcome you back sometime soon. We had a great time at the Coach House. Very well equipped and cosy. Lovely and quiet - ok you do get some cars coming by but they were few and far between so didn't bother us. We had some really bad weather whilst we were there but we still managed to do all we wanted too plus more! The Dolphin is a nice pub which serves good meals, but there were a few children running around the night we ate there which spoilt it a bit. A good location for getting about from. So lovely to hear that you had a great holiday - despite the rain you had on a few days! I do hope we can welcome you back sometime soon to this glorious part of South Devon. My wife and I wanted a "getawayfromitall" cottage where we could recharge our batteries after a busy August with our grandchildren. The Coach house fitted the bill perfectly. It is situated in the beautiful and peaceful village of Kingston from where some lovely walks can be had. We did a 4 mile circular walk to the very beautiful Erme estuary - highly recommended! 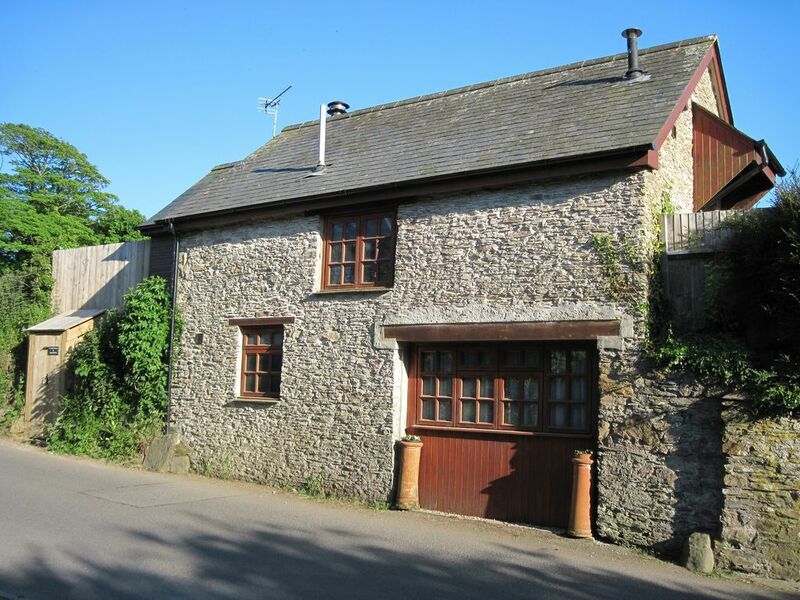 The cottage itself is very well equipped and comfortable - we can't recommend it highly enough. The Coach House ligt op iets meer dan 1,5 km van 2 lokale stranden (Wonwell en Westcombe) en het prachtige kustpad van Zuid-Devon. Het prachtige strand van Bigbury-on-Sea ligt op ongeveer 5 km afstand en heeft ook een geweldig café (het hele jaar geopend) en bij laag water kunt u de verhoogde weg oversteken naar Burgh Island en de beroemde Pilchard Inn! De luchthaven van Plymouth en het nationale treinstation liggen op ongeveer 22 km afstand. Het gebruik van een auto is essentieel omdat er geen busdienst naar het dorp is. The Coach House ligt in het mooie dorp Kingston, met een lokale pub - The Dolphin Inn. Er is een geweldige lokale winkel in St. Ann's Chapel (ongeveer 1. 5 mijl) die vrijwel alles verkoopt wat je nodig hebt en 7 dagen per week open is. Het dorp ligt op ongeveer 3 mijl van het prachtige kleine stadje Modbury, op 9 mijl van het marktstadje Kingsbridge en het beroemde kustplaatsje Salcombe. Dartmouth is ongeveer 16 mijl en de historische maritieme stad Plymouth is 13 mijl. Er is een geweldige lokale winkel in St. Ann's Chapel (ongeveer 1. 5 mijl) die vrijwel alles verkoopt wat je nodig hebt en 7 dagen per week open is. Het mooie stadje Modbury (3 mijl) heeft alle winkels, waaronder een slager, Co-op, ijzerhandel, apotheek, postkantoor, Deli en een prachtig aanbod van cadeauwinkels, antiekwinkels, kunstgalerie en coffeeshops! Het heeft ook een artsenchirurgie, een tandarts en een dierenarts. Booking Notes: Provisional booking can be made by email or phone and will be held for a maximum of 5 days. The booking will be confirmed on receipt of a completed booking form and deposit for 25% of the total amount due. The balance is due 8 weeks before the holiday and full directions will be sent at this time. Short breaks are available all year. Minimum stay 3 nights. Changeover Day: Changeover day is totally flexible - just let us know what day you prefer! Arrival is usually any time after 1pm and departure is before 1pm, hopefully giving you plenty of time to enjoy both arrival and departure day. Notes on prices: Prices are for the property per week in UK Pounds Sterling.